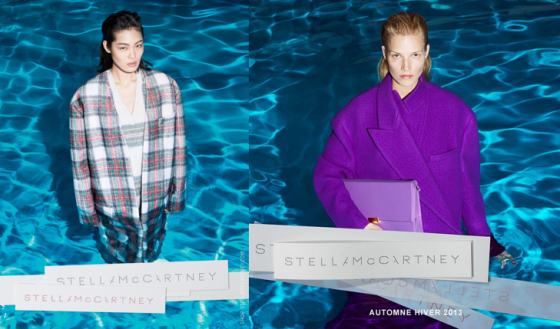 Brit fashion designer Stella McCartney has won her lengthy legal battle against an Australian cosmetics and skincare business. Turns out, McCartney has a pretty strong presence in Australia, including her skincare and fragrance collections, and so, when a Chatswood-based cosmetics and skincare company filed to trademark "St Ella New York" in May 2010, McCartney's legal team stepped in to oppose the registration. McCartney filed an opposition to the trademark in December 2010 after Wong Kwai Hua tried to register the trademark. Hua claimed that his proposed trademark “is clearly used and pronounced as SAINT ELLA not STELLA.” However, McCartney’s legal didn't buy it, arguing that Australians are "lazy in their pronunciations", and as a result, “St Ella” would sound confusingly similar to “Stella”. And while Hua told the Trademark Board that he only intended to use the trademark "in respect of skin care and cosmetic products" and had "no intention" of copying McCartney's Australia products, McCartney argued that Hua's logo would trade off her name and brand. Due to similarities in phonetics, as well as the Trademark Board's finding that due to the appearance of Hua's logo, it may not look like two words and may be confused with "Stella", it ruled against Hua, ordering the dismissal of his trademark application. And that's a win for Stella.